Kent Nutrition Group (KNG) is proud to offer a new line of supplements for pigs – NutriVantage Nutrition Optimizer – a research-driven, unique blend of natural ingredients, vitamins and minerals that impact performance at every stage. For more than a decade, the species-specific formulas have been developed and field tested at the Kent Product Development Center near Muscatine, Ia. 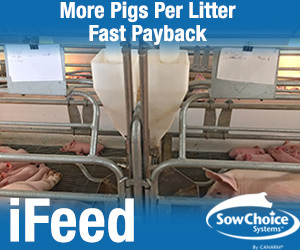 These trials have shown that “health challenged” pigs have improved survivability – at least 25 percent – and increased net return by $0.25 per nursery pig. KNG trials and field studies have shown significant results in reducing mortality rates, stimulating a positive immune response and promoting a healthy gut environment, which ultimately means more return on investment for pork producers. 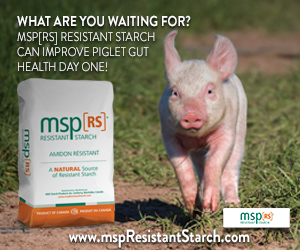 NutriVantage for swine formulas are made with exclusive nutritional components, including organic macromolecules, trace minerals, antioxidants and chelating agents that provide optimal nutritional supplementation to a pig’s digestive tract. NutriVantage for swine is available in a feed supplement or a water-soluble supplement as NutriVantage Hydra or NutriVantage HydraElectro and in select products featuring the NutriVantage logo.